The Tahitian islands are the epitome of romance. Seize the occasion to seal your love the Polynesian way ! The ceremony will take place on the resort’s private ‘motu’ islet, surrounded by crystal-clear waters, offering a magnificent view of Bora Bora in the distance. Dressed in a pareo with flower leis and heis, you will be transferred by outrigger canoe from your suite to the ‘motu’. (You are welcome to wear your own clothes). 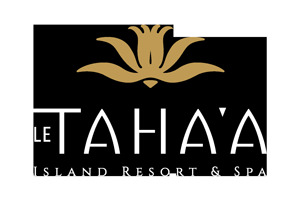 Tahitian songs and dances will greet you and the Master of Ceremony will proceed with the whole Polynesian blessing. In the local traditions, the bride and groom receive a Tahitian name as symbol of their union. The ‘tifafai’ (Tahitian quilt) wrapped around the happily married couple will seal the ceremony. You will enjoy a tropical cocktail and the Chef’s treats as the dance troupe performs a traditionnal show.